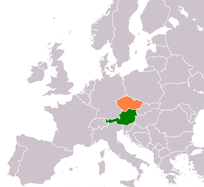 St. Laurent is a red-wine grape believed to have arisen in Bordeaux, but which migrated through Alsace and Germany to centeral Europe, its current home, where it is today grown in significant quantities in Austria and its neighbor to the north, the Czech Republic. It is not yet well known outside those regions, but is generally considered one of the dozen and a half or so of world-class red-wine grapes (those in boldface in the varietals list to the left of the page). 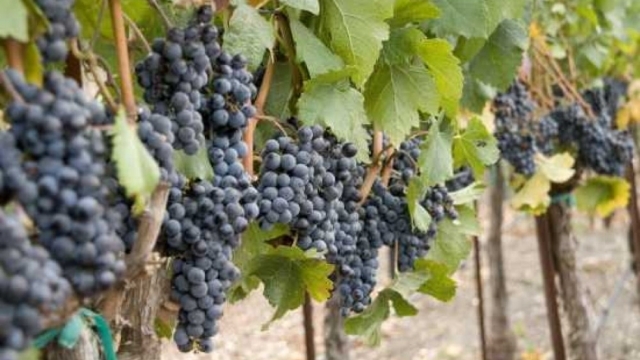 The grape is generally thought to be an offspring of Pinot Noir (with the other parent yet unknown), with which it shares many characteristics—indeed, it is often bottled as a blend with Pinot Noir. Broadly speaking, one might say that St. Laurent is a slightly more robust and slightly less subtle wine than Pinot Noir, tending toward wines of strength rather than PN's delicacy; but it is not unknown for even experts to occasionally confound the two types. St. Laurent wines tend to be strong on dark fruit flavors (especially cherry), with pronounced but soft tannins and good, acid-balanced structure. 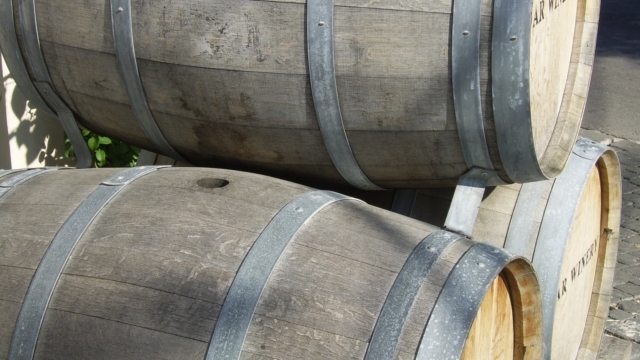 There is a modern tendency to heavy use of oak in vinifying St. Laurent, though many winemakers think it an ill idea. Factoid: St. Laurent is one of the parents (along with Blaufräankisch, aka Lemberger) of the now-popular variety Zweigelt. "The St. Laurent sports juicy berries, velvety tannins and it is often quite mouth-filling. Its color leans towards a deep, dark red. St. Laurent wines tend to be fruity and multi-layered, and with just a little bit of age, a St. Laurent wine can develop an exceptionally smooth texture. However, it is the wine's bright sour-cherry aromas and flavors, which are typically offset by subtle tartness, that has its fans raving." "St. Laurent is a grape that is full of prounounced dark fruits such as black berries, sour cherries and prune complimented by beet root and dark chocolate notes. The wines this grape produces are velvety with subtle tannins. The grape is quite similar to Pinot Noir as Pinot Noir is one of it's parents (the other is unknown.)" 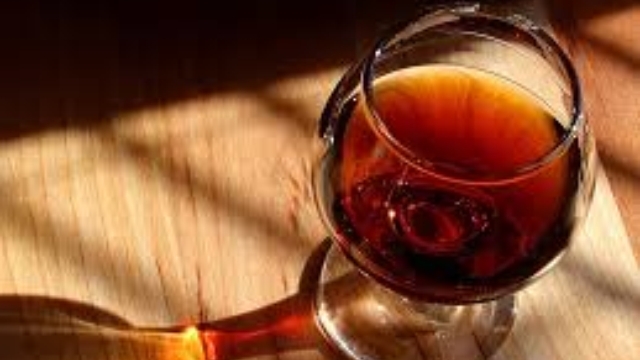 "Wines of St. Laurent show dark-red colour, sometimes with violet reflections. On the nose, enthusiasts should expect ripe cherry, black current, and even oak characteristics (like chocolate, vanilla or cedar shavings, assuming it's oaked). The tannins with St. Laurent can be all over the map. If it's harvested early, the wine will show more like a Pinot Noir, with light tannins and tastes more on the cranberry side of the fruit profile. If harvested later or during a warmer summer, tannins will be more developed and may even come off as boxy and tight. Young wines tend to have relatively high acidity levels. They make a good match with red meat and strongly flavoured cheeses. We also find that St. Laurent . . . goes with a wide array of most meats 'less than red meat', including wild game, comfort foods and any meat that is rich with fat and flavour profiles. . . . St. Laurent wines are of medium to full body. After aging in bottle, the aggressive character will change into crispness and then finally into a velvety smoothness." "Saint-Laurent wines tend to be dark purple in color, structured yet silky with a characteristic dark-cherry flavor (similar to Pinot Noir). Blackberries, smoke and spice are also commonly exhibited. 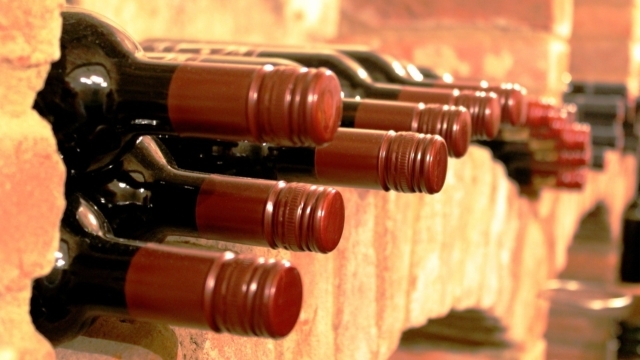 The wines benefit from oak aging and show good aging ability." "Therry Theise, in one of his wine catalogs, describes St. Laurent as 'Pinot Noir with a "sauvage" touch', and John Schriener writes that 'it comes across as a Pinot Noir wearing hiking boots', both of which pretty much sum up my feeling on the wine as well. I had actually written in my notes that the wine was like a brooding, meaty Pinot Noir but denser and darker. For fans of gamier, meatier Pinot Noirs, St. Laurent is a can't miss, especially considering the price that most of them sell for. " "St. Laurent delivers dark, sturdy and fruity red wines with morello cherry notes. They are of high quality and have good ageability. " "If you could cross, in your mouth and on your palate, both pinot noir and syrah, you'd have a good approximation of the aromas, flavors and texture of Austrian wine made from the grape St. Laurent. . . Its thick skins give St. Laurent red wines good depth of color and they finish with a tangy, clipped zing — a nice foil for many a food. Another red wine that it resembles, especially at table, is Piedmont's barbera." Because this variety is not well known in the U.S., there is, by and large, little written about it, and the dearth of quotable comments on most of the wines listed below demonstrates that. If you want to be in on what's trending, St. Laurent is as good a place to start as any. To demonstrate its unfamiliarity, we note that we could, after applying our usual filters of quality/price/availability, only find a couple of specimens to list. ♣ Reviews for this wine are rarities, despite the bottlings obviously being fairly popular with the public. ♦ Aromas are attractively savory and infused with floral scents of dried violets. Ripe and juicy fruit intermingles with tannins offering subtle astringency. An altogether pretty wine. ♦ I would definitely recommend this wine to people that are fond of Pinot Noir. It drinks like a old-world style Pinot, but with a bit more flesh on its bones. The skin on St. Laurent is darker, and the wine definitely reflects that. A deep, pretty shade of eggplanty-purple, the nose is generous and forthcoming. Notes of creamy vanilla swirl about after some initial blue fruits, black cherry, blackberry, violets, cherry cough drops, and a touch of evergreen. The palate is richer than it’s 13% alcohol reflects and uber-smooth. It finishes with a tang of red plums and redcurrants. Really tasty. ♦ Quite surprising how Sattler gets as much complexity with fermentation only in steel (no wood at all on this wine); very meaty, both in body and tastes, with flecks of green herbs. ♦ After giving it about 20 or 3o minutes in the refrigerator to bring it down to cellar temperature, we opened it with a dinner of spicy pasta. The wine had alluring aromas of dark fruit, iron and earth. It felt tightly wound on the palate, with lots of dark fruit, some spice and a laser focus from start to finish. The Sattler family clearly knows how to coax the best out of this finicky variety. ♦ He said: Opened 30-minutes before drinking. Dark ruby red color with lots of purple tint and a pale red rim. Light plum and blackberry aromas with distinct hints of earth. Quite strong, DRY, dark fruit taste with silky smooth tannins and a bursting with juiciness fruit flavored medium-length dusty finish. Light bouquet, but a plush mouth-feel with lots of lingering flavors. This is a wine that’s very similar to Pinot Noir and it has a complexity that grows with every sip. A good value Austrian red. She said: The aroma was very light and led to an equally light taste. The wine was dry, had a medium body and super smooth tannins all the way through the medium-length finish. It was food friendly and went well with our rather bland flavored dinner. I really liked the dryness and ultra-soft but tasty tannins. It was VERY good but a little neutral for my palate. It's not a lot better than those listed above, but neither is it a lot more money; it's the Erich Sattler Reserve St. Laurent (Burgenland).